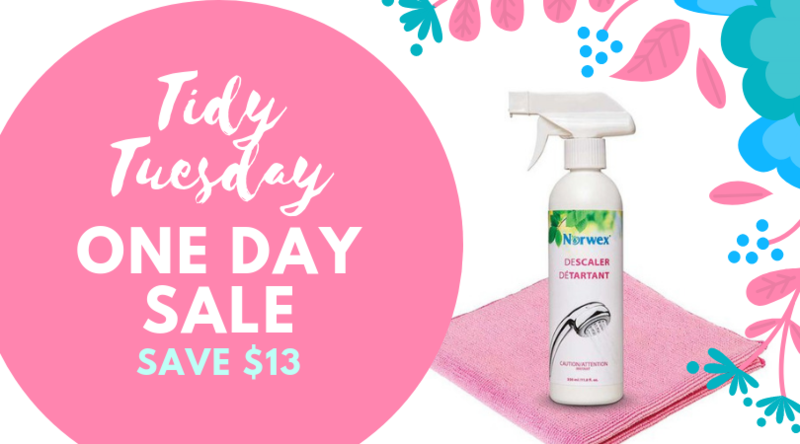 Today only Norwex is having a Tidy Tuesday Sale going through 11:00 p.m., CDT. You can get the Descaler and classic pink Envirocloth for only $34.98! That’s a $13 dollar savings!! Not only can you get this amazing deal, but, you can also feel good about doing it. This month Norwex is donating a portion of the proceeds on all of the October specials to organizations combatting breast cancer. I love the Descaler because it does the grunt work for you. All you have to do is spray the solution, let it sit for five to ten minutes, then wipe off with an Envirocloth or a Scrubby Corner Cloth. It’s great for removing soap scum, lime/scale, calcium and rust stains. It also removes hard-water stains around taps and drains. The Descaler is my go-to cleaning solution for my bathroom, once a month I do a cleaning of my sinks and shower with it. It has helped maintain it’s original look and has prevented me from having to scrub off those hard-to-get stains. 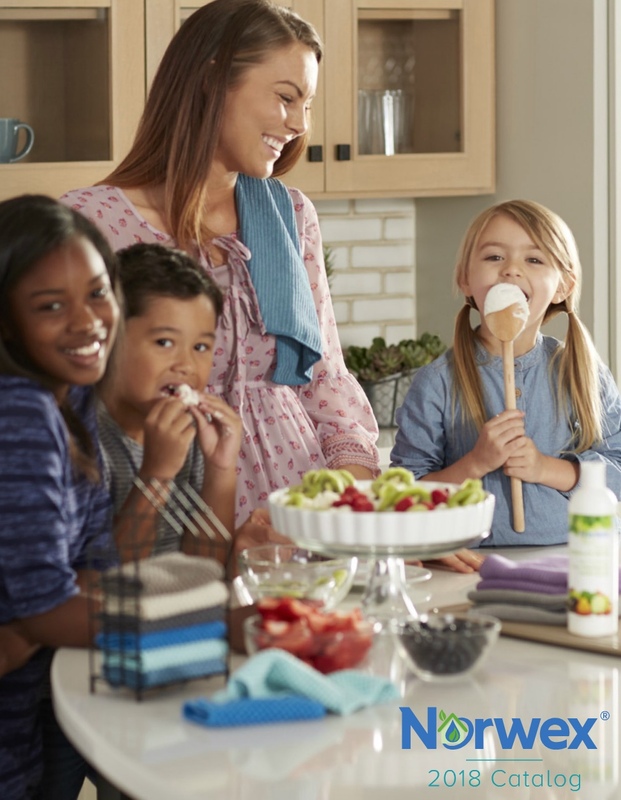 All of Norwex’s products are made to keep chemicals and toxins out of the home. The descaler is made with natural ingredients like many of our other products! The Envirocloth is a classic must-have for around the home, and it always helps to have an extra one around. It removes 99.9% of bacteria only using water, and is completely reusable! What are you waiting for? 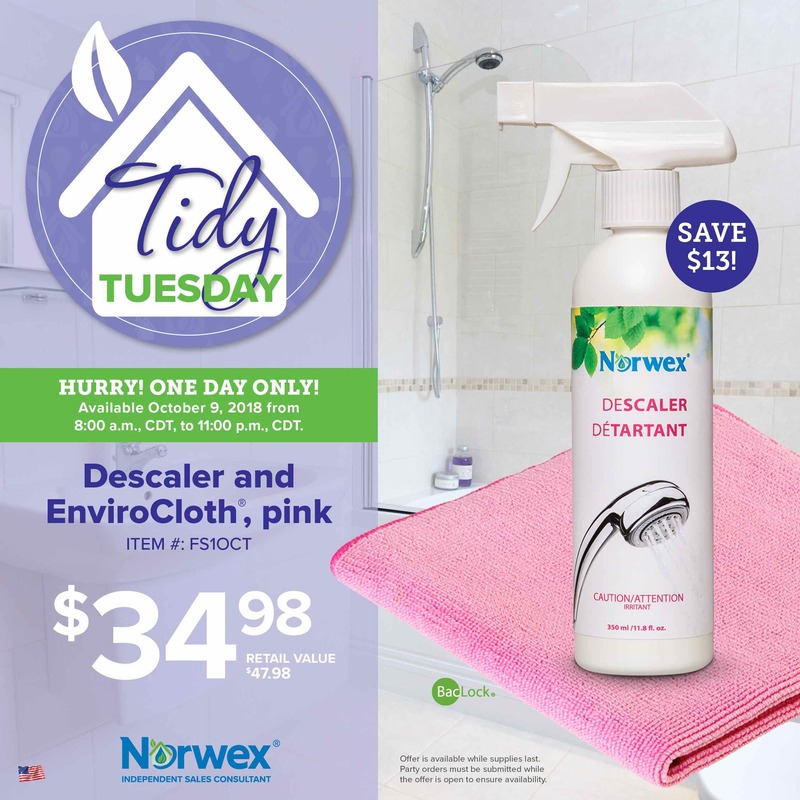 Take advantage of this Tidy Tuesday sale and order your very own Descaler and classic pink Envirocloth today!